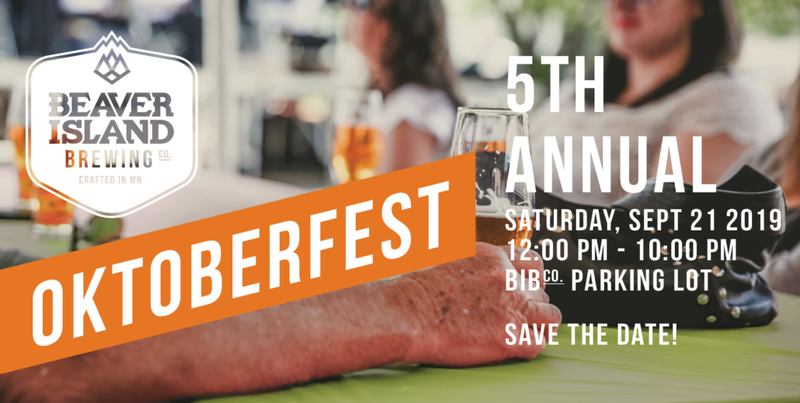 Oktoberfest | Beaver Island Brewing Co.
Our Oktoberfest Märzen Lager will be flowing at our 5th Annual Oktoberfest Celebration. Join us at the BIBCo Taproom Saturday, September 21, 2019 12PM-10PM. Limited VIP Tickets are $55 and only available in the Taproom starting August 1, 2019. VIP tickets include an all-you-can-drink wristband and a commemorative Oktoberfest ceramic beer stein. Advance General Admission tickets are $10 and are available online or in the Taproom starting August 1, 2019. GA tickets include a glass beer stein, while supplies last. A Stein Hoist contest will be held at 2:30PM & 5:30PM. Purchase an Oktoberfest ticket for a chance to enter the Stein Hoist contest. Raffle tickets will be given at the door. Ten raffle ticket numbers will be announced prior to contest. Each contestant will be required to hold a pitcher of water in each hand. The contestant that holds the water the longest will be the winner, with a second and third place winner chosen as well.